The evil warlock casts a deadly spell, but the brave heroine deflects it with her sword. The poisoned fangs of the beast should be fatal, but the halfling inexplicably survives its bite. 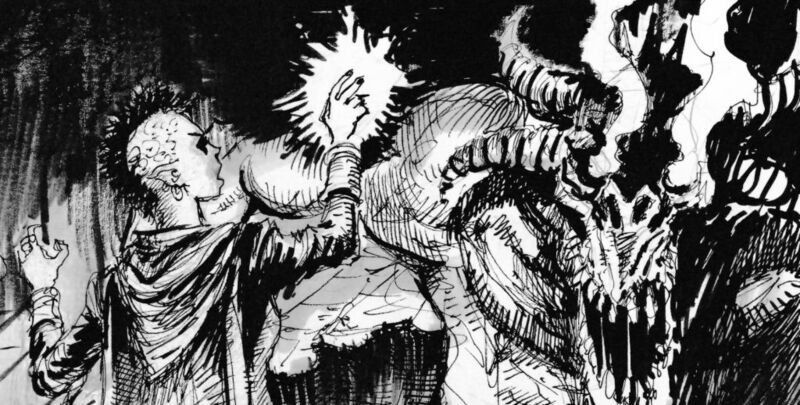 Save Rolls are an important element of the game, one that reinforces the heroic nature of the PCs. They represent the hero’s luck, a final chance to avoid a tragic end. Given their importance, they obviously were at the center of several discussions both during the starting design process and during our playtest. We briefly considered handling them like standard skills, giving each Vocation a number of DPs to spend in them. But we soon discarded the idea, realizing they would basically be a forced choice characters would had to make in their advancement. Moreover, in our mind, Save Rolls have little to do with skill. They’re an extra edge heroes can rely on when their skills cannot help them. This is why we decided to make them progress automatically as the heroes gained new levels, without the need of spending DPs. In the same way, we chose to link the difficulty of each Save Roll to the level of the attacker (or of the harmful effect the character was trying to resist). A solution we found to be both convenient (as the GM only needs to know the level of an opponent to have the difficulty of a SR), and consistent with the internal logic of the game, making epic, high-level enemies automatically more fearsome. Things were slightly more complex when it came to spells. 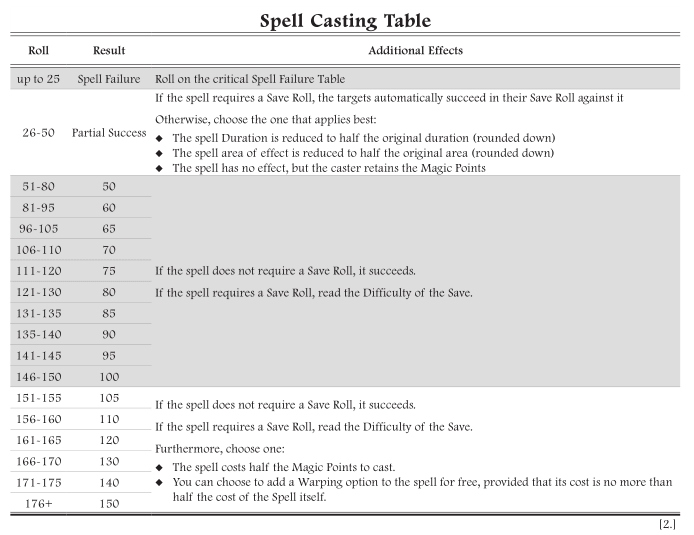 We knew that spells would be one of the primary reasons for which Save Rolls would be called for in-game, and we found the idea of having their difficulty tied solely to the level of the caster too simplicistic. We wanted to incentivize spell-users to prepare their spells in battle, and to develop Spell Lores over their level, despite the normal spell casting limitations. So we designed a small table (you probably already know what I’m talking about, since it’s in the Quickstart Rules), giving the targets of a spell a penalty or a bonus to their SR, depending on the caster’s Spell Casting Roll. However, during our playtest we realized this table had some problems. First and foremost it required some math and page-flipping. One had to look up two different tables (one of which giving a modifier on the other) to resolve a spell. It slowed the game down, without having the “cool factor” that others double-table resolutions (such as attacks and crits) have. Moreover, it basically counted the level of the caster twice, because high level spell-users were more likely to have a higher skill bonus and thus inflict harsher penalties on their targets. 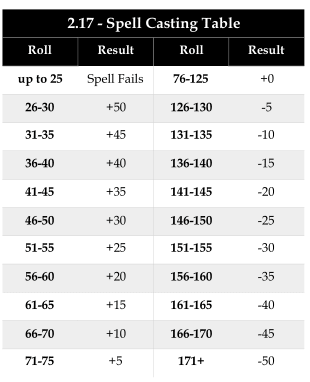 In the months following the release of the Quickstart beta we worked hard to find a solution to these problems, and came up with a new Spell Casting Table that removes the “double-table” issue and makes spell resolution much smoother. After trying it our and testing it with our internal playtest groups, we can finally show it to you, as a special sneak peek of the new Quickstart Deluxe! Yes, you read right, a new, Deluxe version of the Quickstart Rules is coming soon! It will include the revised Spell Casting mechanics, fantastic illustrations by our talented artists, and more. 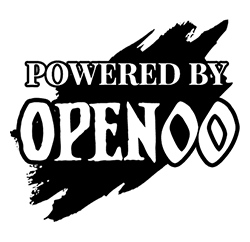 We’ll have an official announcement with all the details very soon, so keep following us (either here or on Twitter) to learn everything about it!